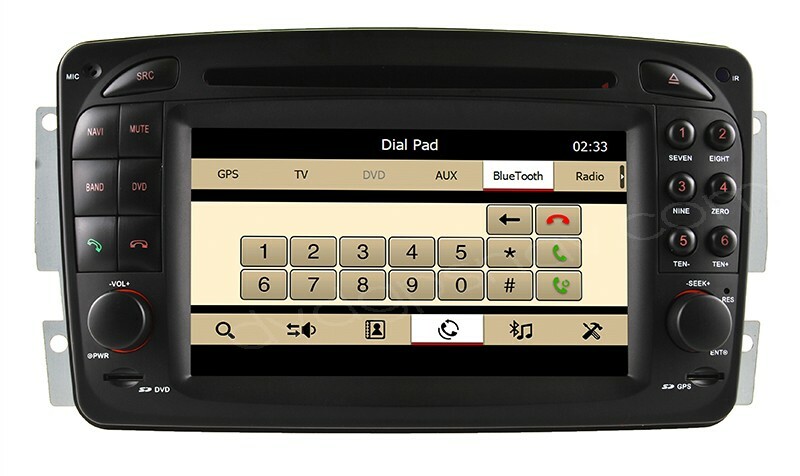 In order to process your order more quickly, please send us(sales@dvdgpsnav.com) your car information including car model, manufacture year and a dashboard picture so that we can check to see if this unit can fit your car, because we need to check the car info before processing the order to make sure customers get the right product for their car. 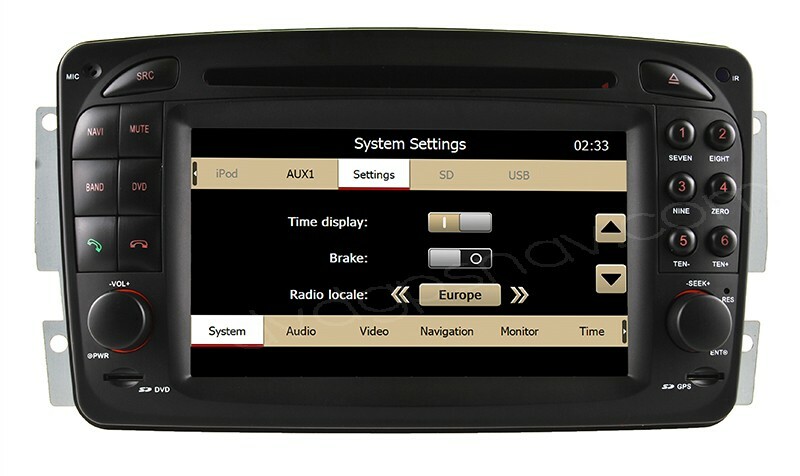 80USD OFF Now, ONLY US$456, Limited Time Offer! 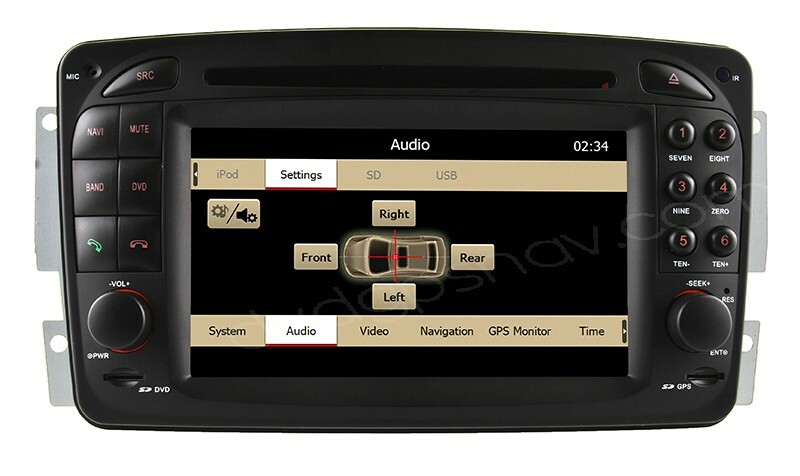 Plus a 8GB SD card with IGO GPS maps for FREE! 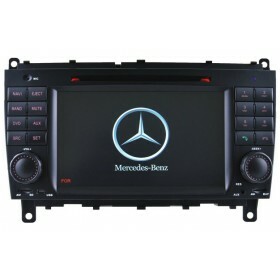 In order to process your order more quickly, please send us your car information including car model, manufacture year and a dashboard picture so that we can check to see if this unit can fit your car, because we need to check the car info before processing the order to make sure customers get the right product for their vehicles. 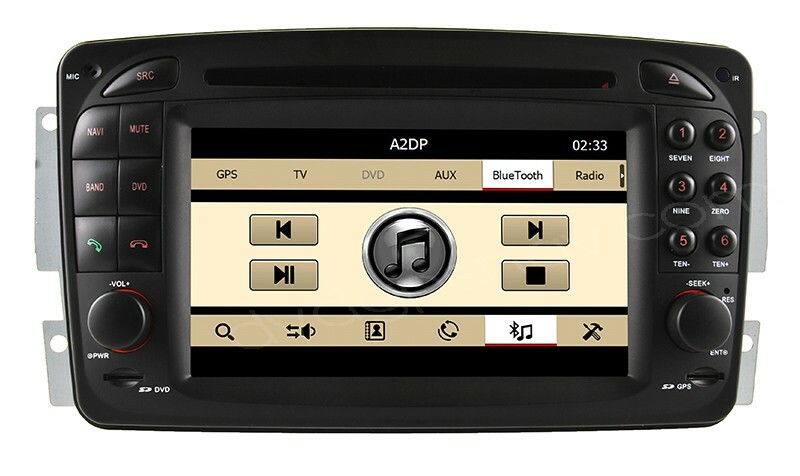 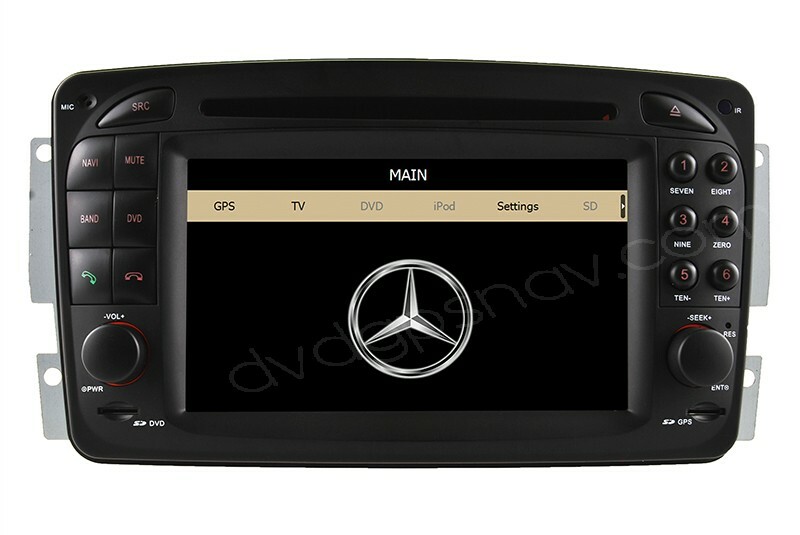 Like the other models of Mercedes-Benz DVD GPS head units, this car DVD/GPS unit is with multiple functions like DVD, GPS Navigation, Bluetooth, FM/AM radio, USB, iPod, SD, RDS, MP3, MP4, etc. 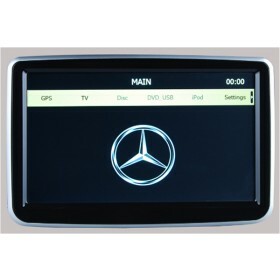 It can support steering wheel controls, so your steering wheel control can work as normal after installation of this head unit. 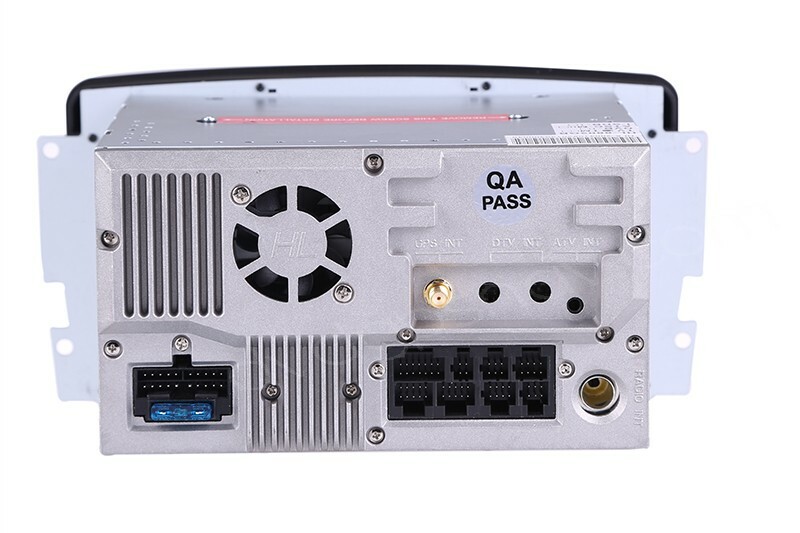 can work for cars with fiber optic amplifier, but fiber optic amplfier is not compatible, while our unit has amplifier built-in. 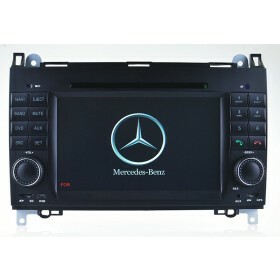 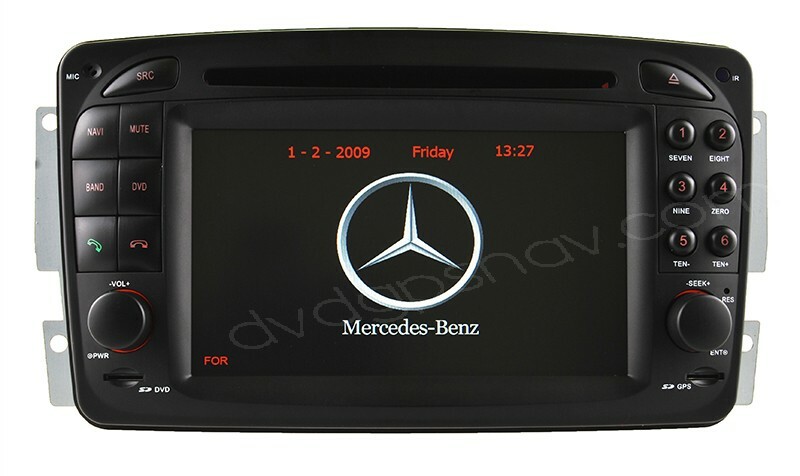 Custom design double din car DVD player for Mercedes-Benz W210 from year 1998 to 2002, Benz C-class W203 from year 2000 to 2005, A-class W168 from year 1998 to year 2002, SLK W170 from year 1998 to 2002, CLK-Class C209/W209/C208/W208 from year 1998 to year 2008, G-Class W163 from year 1998 to 2004, etc. 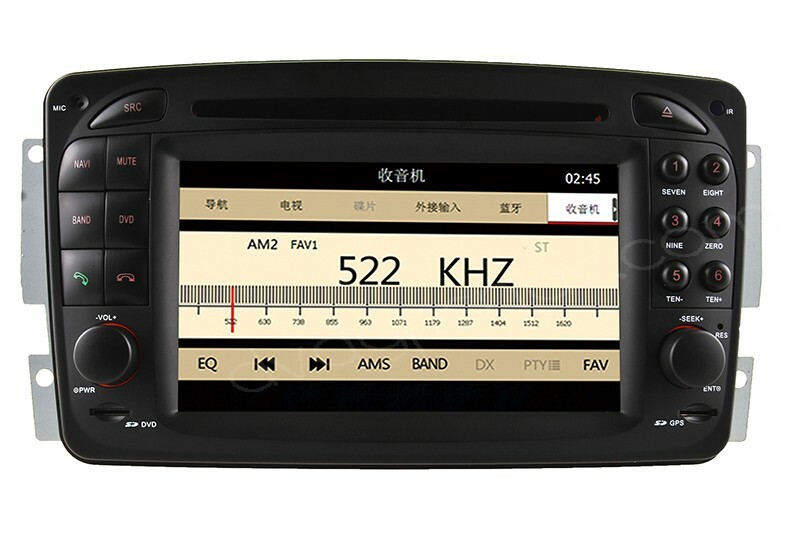 NOTE: This unit does not support fiber optic amplifier, if your car has fiber optic amplifier, you need to use our 6m long power cable to connect your car speakers directly and by pass the fiber optic amp, our unit has 4x45w amplifier built-in.